Laveen windshield replacement and auto glass repairs have never been faster or easier. Glas Tek provides free auto glass replacement quotes online, Laveen windshield replacement insurance claims, $50 CASH BACK, lifetime warranty, free rock chip repairs, 10% Rewards, and discount auto glass. We also provide free mobile service to residents and businesses in Laveen, Arizona. Laveen is just one the many stops that Glas Tek takes every day in their destination to keep safe drivers on the road. If your windshield is either cracked or broken and you live in Laveen or anywhere in the valley Glas Tek will come to you. Don’t take the risk driving around with a broken or cracked windshield, it’s not worth a ticket and it’s definitely not worth endangering the ones you love. If you just think it’s too expensive go ahead give us a call and you’ll be surprised that anyone can afford our services. If there is one thing that Glas Tek believes in and that’s your safety as our customer and the value we give to you. If you can trust anyone with your safety, it should be the glass installation experts who care more about your safety, you see to us it’s more then just a business, it’s a life style. 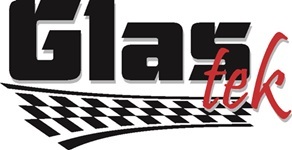 Glas Tek is an approved and preferred Laveen windshield replacement and auto glass repair shop. 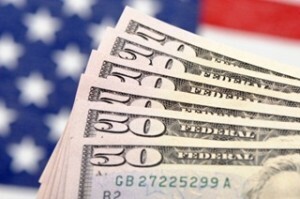 We accept and honor all insurance pricing so that there will never be any additional charges to you. Filing a claim with State Farm, Allied, MetLife, Safeco, 21st Century, Commonwealth, and Safe Auto is simple. It only takes about 10 minutes of your time. You will need to answer a few basic questions about your auto glass replacement claim and schedule your same day appointment. 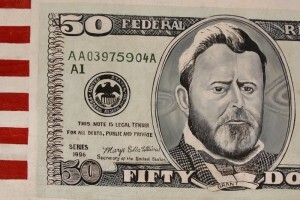 Plus, if you carry the glass waiver with your insurance company; we give you $50 CASH BACK TODAY! With all Laveen windshield replacement and auto glass repair claims you will get a nationwide lifetime warranty that is back by your insurance company. Call us today, or file your auto glass replacement claim online now! Glas Tek is a Laveen windshield replacement and auto glass repair service company that prides themselves on their world-class customer service and the absolute best value. We serve all customers with unsurpassed high quality windshield replacements and yes we even come to you, the residents of Laveen Arizona. We serve all over the valley every single day, and we have some of the most skilled glass technicians out there, who have at least five years in the business of auto glass replacement and windshield repair. So who are you going to trust with your safety, in a rollover accident the windshield is about the only thing that is keeping you protected from the roof coming in. So just remember safety comes first, and when it comes to safety, value, and service your best bet is Glas Tek. We provide free mobile service to Laveen residents, free windshield chip repairs with any new car windshield replacement, $50 CASH TODAY with insurance windshield replacement claims, instant auto glass prices online, 10% Credit towards future purchases, lifetime nationwide warranty, and professional installations. Laveen is a beautiful and prosperous community located entirely within the Sonoran Desert. It’s located in Maricopa County in Arizona, situated roughly eight miles Soutwest of Downtown Phoenix. Being located in the Sonoran desert the heat can average over 115 degrees in the average summer day to about 65 degrees in the Winter. 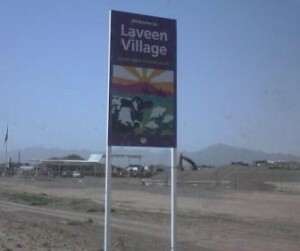 The Laveen area was inhabited by dairymen and farmers, and was also traveled passed by the Maricopa and Pima Tribal members. The name Laveen was given by the first postmaster Walter E. Laveen in around 1918. The first school in this area was build on land donated by the Laveen family in 1913. In 1911 the community was isolated by water of the Salt River until Roosevelt Dam was built. Post Laveen was quite the self-sufficient community with its own women’s club building, cotton gin, two pool halls, blacksmith shop and barber shop. Residents of this area have a very long history of helping out one another, and always volunteered to help their neighbors. The community worked very sufficient in this way and this still exists today in Laveen, there are plenty of programs that can be partaken in to make a difference in schools and in many organizations that help out the community.